It’s like a tardis inside! The Lazer O2 . Light, good-looking and adjustable. 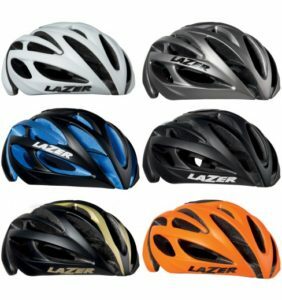 We have in stock a large selection of helmets in a range of colours and sizes from Lazer and Specialized. We can also order Giro and Bell. 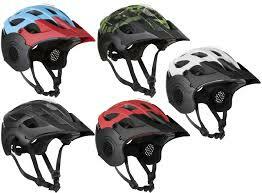 We stock mountain bike helmets, full face helmets and road bike helmets, plus a large range for babies, toddlers and older children. We always ensure a correct fit and are happy to advise. Here in the heart of the Pennines we’re subject to some of the best – and worst – rapidly changing weather conditions in the UK. We know that having the right clothing can turn a potentially dismal day out into the ride of your life. 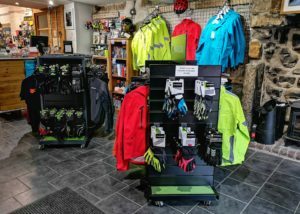 Just like everything else we sell, we make sure all the clothing we stock is effective, well made and good value for money. 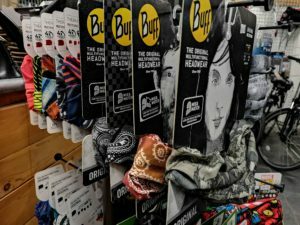 Unlike many bike shops we don’t stock a brand’s full range for the sake of filling the shelves but pick what each brand does the best, giving you the best possible clothing system for your riding, be that road, mountain or commuter. 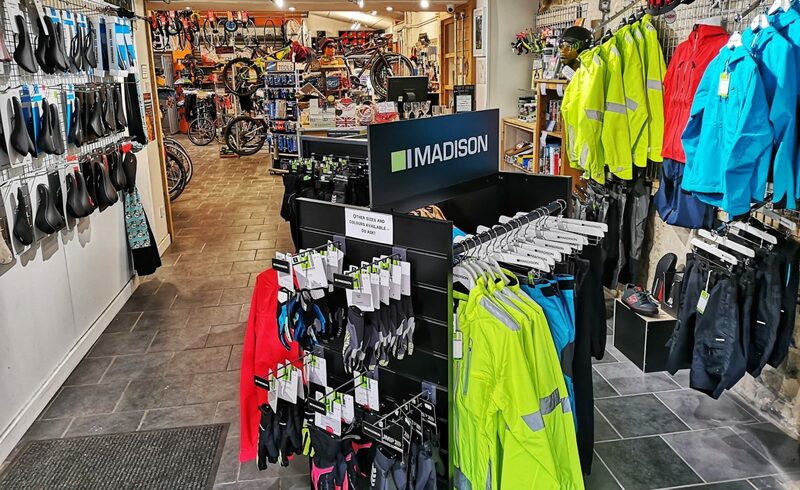 So you’ll find jackets, base layers & jerseys, bibs, tights, shorts, baggies, waterproof trousers, gloves and socks from Madison and Pearl Izumi, and riding jerseys and t-shirts from Orange and Hope. 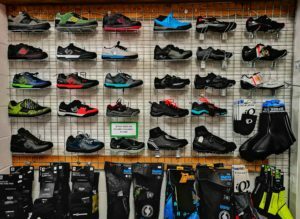 We stock accessories from Orange, Icebreaker, Specialized and Buff, as well as footwear from FiveTen, Specialized, Shimano and Pearl Izumi. If there’s something you’d like which isn’t in stock then we can usually order it in for you.